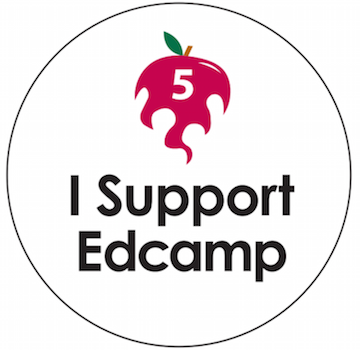 It's been 5 years since the first EdCamp. It's amazing how the idea has spread and how many people EdCamps have impacted. I know how much I have benefited by learning from so many interesting, smart people! So now it's time to give back. The Edcamp Foundation is kicking off a campaign on #GivingTuesday, December 1st. The information below is shared from Hadley Ferguson on the Edcamp blog. I hope you will consider a gift. Tara Frazier on Twitter: "Best meetings ever... The #ECET2me #moosecampPBE and #EdCampBGR times and hearing about #edchatme"
@mrs_junkins @MisterCMaine this chat was inspiring! You #PSTmaine geniuses better stick around #edchatme ! Ms. Ruel on Twitter: "A5 I met @DrewetteCard and had great in person convos! #EdChatME"
Oh, with @PondCoveTech @jbailey8 @alicebarr and @marsenault in the house, plus #PSTMaine, It’s going to be a great #edchatme !!!!! So happy you're with us, Alice! Nice! "The shift from print to digital is a profound transition in how human beings learn, it is more significant than the development of the printing press and its benefits are spreading much more quickly. Like the printing press six centuries ago, this transition is transforming formal education and spreading informal learning opportunities." Above all, seek joy. Learning should be joyful. alice barr on Twitter: "so thankful that this happened for @bobsprankle https://t.co/39fsHJEVi3"
alice barr on Twitter: "Logo Designs using algebraic functions https://t.co/mcdkhL3T1t"
"10 engaging Google Drawings activities for classes"
All 9th graders participate in 4 sessions about Digital Citizenship before the first quarter ends. We want to help students understand how the core values fit into their online lives. We also want to expose students to appropriate online practices and help them make good choices about their digital lives.